Florida’s 66-56 win over West Virginia was ugly, gritty and exactly what Mike White and Co. needed. The Gators earned their first win over a Top 25 KenPom team on Tuesday night at Madison Square Garden after outscoring the Mountaineers, 36-29, in the final 20 minutes. Florida held the nation’s 18th-ranked offense (per KenPom) to a season-low 56 points on 30% shooting from the field and 30% shooting from beyond the arc. KeVaughn Allen led all players with 19 points, adding 4 rebounds, 3 assists and 3 steals. IT WAS OVER WHEN: Florida completed a 17-2, 5 minute, 15 second run in the 2nd half to give themselves a 47-33 lead. During that stretch, the Gators’ defense forced turnovers, got into transition as quick as possible and made sure, more than anything, to get the ball in KeVaughn Allen’s hands for scoring and Andrew Nembhard’s hands for facilitating. Florida’s aggressive pace tired out West Virginia, leading to diminished returns on the defensive end. 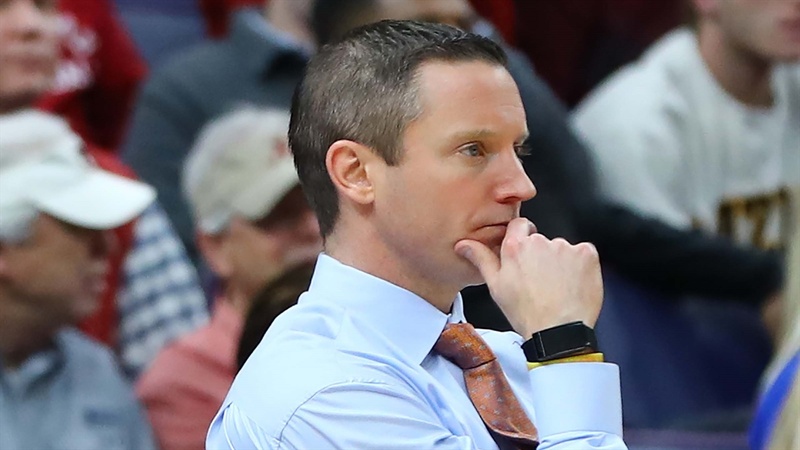 The second half wasn’t as much about “Press Virginia” as it was “Eh Virginia.” Credit to Mike White for making an adjustment at the under-16 timeout in the second half by completely changing the Gators’ pace and push off of rebounds and steals. THEY STOLE THE SHOW: While KeVaughn Allen only scored 19 points, it marked a new-season high for the senior and gave a much needed boost of confidence to, arguably, Florida’s most versatile offensive player. The pace that Allen pushed with in the second half and the willingness to let it fly grinded West Virginia’s defense to a pulp, leading to tired, lazy possessions on the offensive end. Allen is no stranger to success at the World’s Most Famous Arena, Madison Square Garden. While Allen will get all the credit in the world for his scoring performance, which he should, Andrew Nembhard’s ability to facilitate against a full-court press and one of the nation’s better defenses was extremely impressive from a freshman floor general in a big-time neutral floor situation. The Canada-native finished with 7 points, 6 assists, 4 rebounds and 2 steals. THESE STATS DON’T LIE: Florida came away with the win, but it doesn’t mean it was pretty. The Gators shot 33% from the field, 29% from long-range and an abysmal 61% from the free throw line (28-46). The Gators could’ve put the game away in the first half when they led by 13 if they were able to sink their foul shots. If you read that paragraph thinking West Virginia couldn’t have shot it any worse, you’re in for a treat. The Mountaineers only made 30% of their shots from the field, 30% of their shots from beyond the arc and 55% of their shots from the foul line. We knew defense was going to be the tipping point in this contest, but didn’t think it’d produce these kinds of ghastly offensive numbers. WHAT A PLAY: Keyontae Johnson took a sweet dish from Andrew Nembhard in the paint and posterized West Virginia’s Andrew Gordon with 11:35 left in the 1st half. The dunk was part of a 14-2 run that gave the Gators a 44-33 lead. BOTTOM LINE: KeVaughn Allen’s aggressive play did more than getting himself out of what seems like a two season-long offensive drought. It made the whole offense cleaner and more efficient. When Allen shows a willingness to drive to the hole and gun open threes at the top of the key off the dribble, it makes the help defense stay active and attentive to Allen. This leaves other Gator players with better, cleaner opportunities to get the ball in the cup. While it’s not rocket science that when Allen scores at a high clip the whole offense does better, it’s something that’s seemed more rare than the lunar eclipse in the past two years. Defensively, Florida did what many expected West Virginia to do on the defensive end to UF. The Gators forced 21 turnovers, leading to 22 total points. UF came into the contest ranked 3rd in steal percentage and proved that the numbers don’t in fact lie. UP NEXT: Florida will have three days off before hosting the nation’s 10th ranked team, Michigan State. Let me start with this, I do not follow basketball in detail, so I wanted to ask an honest question from an outsider looking in at outsiders looking in at the program. Is Mike White the right guy for this program? He seems to be recruiting well, but the team does not seem to be playing at a level equivalent to what he is recruiting. I believe this is the start of his forth season, in football terms that would mean he is basically playing with mostly "his guys" and should reflect his vision on the court, and yet it seems that the team is starting slow (granted it has only been 8 games) and indications are that the team will regress from where they were last season (which regressed from the prior season). As I admitted, I do not follow basketball in detail. I keep track of the wins / losses, but usually do not watch the games until the SEC / NCAA tournament rolls around. So, help me understand if Mike is the right guy...why you think that...and how long it takes (in basketball) before the coaches vision is seen on the field? In football we say 4 years...what is it in basketball? Teams often take half a season to gel and figure out just who they are. There is still time for this year's team to put it together. And yes, White is the right guy.